We have a large selection of essential oils, absolutes, and co2 extracts that can be used to create your anointing oil. To help you decide which ingredients you would like to use we created this page to describe the oil scents and have listed some oils that would blend well with them. We realize this process may seem intimidating, however, our Biblical Apothecary will oversee your creativity. You will not be alone on your fragrant journey. Have faith, relax, and enjoy the process! The first step on your fragrant journey should be to determine what type of scent you would like. For instance, do you want a traditional smelling anointing oil? If so, you may want to try Frankincense and Myrrh which as a rich, balsamic scent. Perhaps, you are more adventurous and want an anointing oil created using other tree oils mentioned in the Bible. If so, you may want to try a blend of Cypress, Pine, Fir, and Cedarwood for a fresh woodsy scent. You will be given the choice of adding up to 4 different ingredients to your anointing oil. Please feel free to review our anointing oil recipe page for additional blending ideas and guidance. If you would like a special anointing oil made with more than 4 ingredients or simply want us to guide you through the process by phone; you may opt to schedule a Creative Formulation session with our Biblical Anointing Oil Specialist. Click Here. The information on this website is copyrighted material and may not be duplicated or incorporated into any other work. If you would like to purchase the pure oils separately to make your own anointing oils you can order them here. Used in only very small amounts. Scent profile: Sweet almond / marzipan scent. Also called the Shittah tree. Shittah or shittim wood was employed in making various parts of the tabernacle in the wilderness. Scent profile: Balsamic, warm, sweet, powder, spice aroma with herbal and floral odor. Aloeswood/agarwood oil is obtained from the Aquilaria tree, an evergreen tree native to northern India, Laos, Cambodia, Malaysia, Indonesia, and Vietnam. Scent Profile: Peculiar woody aroma with sweet leathery and animal tones. Scent Profile: Sweet, balsamic, hint of floral-fruity aroma. One of the principal spices of the holy anointing oil and an article of commerce. Cassia is a form of cinnamon but is different than Cinnamon Leaf. Atlas Cedarwood is the closest species of a true cedar we can locate. The true Cedar of Lebanon is known as Cedrus libani. Scent Profile: Woody aroma with creamy buttery tones. Scent Profile: Sweet Cinnamon, warm, spicy. Steam Distilled Cistus is considered are rare oil. The "rose of Sharon" is probably the cistus or rock-rose. Mount Carmel abounds in the cistus. Scent Profile: Sweet, warm, herbaceous, musky scent. It does not smell like a rose. Scent Profile: Sweet, tangy, creamy lemon aroma. Very Pleasant. Scent Profile: Warm and spicy. Smells similar to clove bud yet has a deeper aroma. Coriander is a plant mentioned in the Bible. Used medicinally, in perfumes, and as a spice. Scripture references: Exodus 16:31, Numbers 11:7. Scent Profile: A pleasant scent. Sweet woody, spicy aroma. An evergreen tree growing to 160 feet high with slender branches and a conical shape bearing small flowers producing round brownish-gray cones or nuts. Some cypress tress are reported to be over 3,000 years old. Scent Profile: Fresh, green needle aroma. Siberian Fir essential oil is the most popular fir needle oil in Europe and the USA because of its fine fragrances. Scent Profile: Crisp, fresh, lively pine needle aroma. Frankincense has an ancient history and was one of the ingredients in the incense of the sanctuary. Scent Profile: Deep, woody, sweet aroma with a hint of lemon top notes. A fragrant gum used in the holy incense. In Egypt it was used for incense, embalming and cosmetics. This is a very high grade of galbanum. Scent Profile: Sweet, deep, honey, beeswax aroma. Scent Profile: Sweet camphoraceous, warm herbaceous, slightly minty. Jasmine is not mentioned specifically in the Bible, however, it is in the genus of shrubs and vines in the Olive family and means "gift from God". 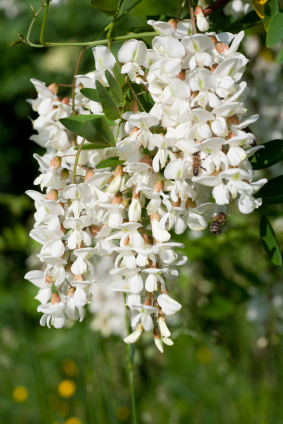 Scent Profile: Smells like heavenly jasmine flowers; rich, warm, floral. Blends well with: Sandalwood, Rose, Citrus Oils (Sweet Orange, Citron-Etrog). Used as a fragrance in soaps, cosmetics and perfume and many food products. Scent Profile: Fresh, woody-balsamic odor. Lavender is not mentioned specifically in the Bible, however, it is in the genus of flowering plants in the Mint family. Scent Profile: Sweet, floral, herbaceous. Scent Profile: Smells like a fresh lemon. Scent Profile: Clean, cooling, peppermint aroma. This ingredient is used in the Holy Anointing Oil in Exodus 30. Scent Profile: Bitter-sweet, balsamic, aroma. Myrtle is obtained from the leaves and twigs. It is helpful in meditation and to revitalize your mood. Scent Profile: Sweet camphoraceous aroma similar to eucalyptus with a touch of delicate floral herbal tones. Used to prepare the Holy Incense mentioned in Exodus 30. Scent Profile: Balsamic, deep, sweet vanilla like aroma. Scent Profile: Sweet Orange aroma. This tree is mentioned with the Fir tree in the Bible. Scent Profile: Pine, turpentine aroma. Scent Profile: Fruit, wine type of aroma. Scent Profile: Sweet, spicy, rose aroma. Scent Profile: Spicy, earthy, floral odor characteristic of the flower. Scent Profile: Balsamic, creamy, radiant, wood aroma. True spikenard (nard) does not smell like a modern day perfume scent. Scent Profile: Sweet woody, earthy, spicy aroma with a touch of floral tones. Scent Profile: Light, slightly sweet balsamic aroma.